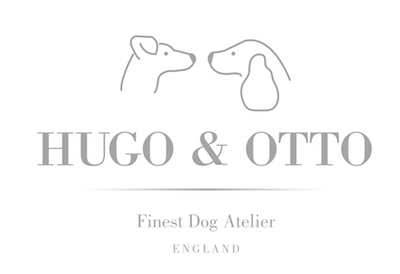 The Hugo & Otto Harewood Dog Cushion is a beautiful luxury dog cushion inspired by a visit to an interiors event at beautiful Harewood House in Yorkshire. They regularly support new and historic British fabrics, design and manufacturing and in particular celebrating the history of the the mills of Yorkshire. We chose this elegant Parquet designed fabric as it perfectly compliments the intricate Rattan design of our Portreath Raised Rattan Dog Bed. Made in a 100% pure new wool by the Yorkshire mills of Abraham Moon they were inspired by their archives collection of wonderful British fabrics to design this fabric in a collection of soft muted colours with a modern twist in Candy Pink and Denim Blue. Pure new wool is a dry clean only product. We recommend to shake off and gently brush any loose dirt or dog hairs and plump up the cushion daily. We do not recommend to hand wash or place in the machine.